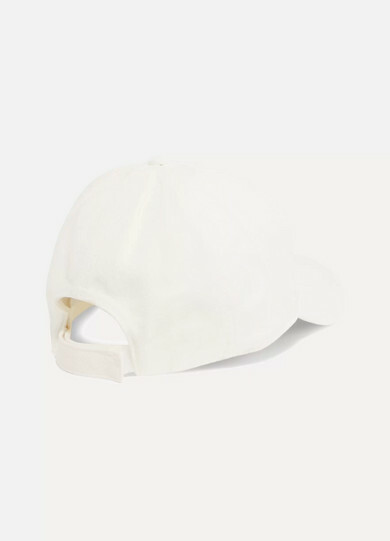 Moncler's baseball cap is ideal for low-key weekend lunches or when there's no time to style your hair after a fitness class. 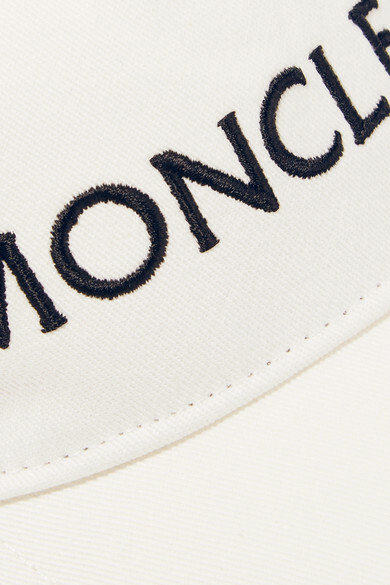 It's made from white cotton-twill embroidered with the label's logo and has a grosgrain browband inside. Adjust the Velcro®-fastening back to find the most secure fit. 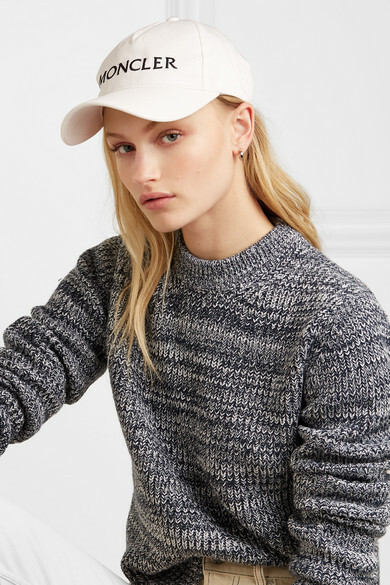 Shown here with: By Malene Birger Sweater, Helmut Lang Jeans, Jennifer Fisher Earrings.